——There are many different outlooks on the ageing process. One person may be scared of growing older. Another, could embrace the thought and others may feel ambivalent towards the idea. Never the less, it is a situation, issue or opportunity that most of us must face and that’s why it is crucial to determine the facts from the falsehoods when it comes to later life. Below we debunk nine popular myths that come with ageing. The fact is that it is never too late to start exercising. In fact, there was a story not so long ago about someone who started exercising in his 90’s and feels better than he has for almost a decade. We are not claiming that it can reverse the ageing process but it can go long way to slowing it down. Physical activity can make you feel stronger and is also great for positive mental health effects too. It is true that many older people suffer from social isolation, especially for those who have mobility difficulties. However, loneliness doesn’t have to become a reality for older people. Visiting the family, meet up with friends or simply walking to the shops can go a long way to reducing the feeling of loneliness. Put simply: they’re not. Older people are in fact net contributors to society in terms of economic benefit. In fact, they add around a net gain of 40bn pounds! The study conducted by the Royal Voluntary Service shows that older people benefit the economy to a total of £175.9bn, including a volunteering worth of at least 10bn. This is compared to a welfare cost of £136.3bn (inclusive of pensions). You may notice that as people grow older they seem to go to bed rather late and wake up rather early. This doesn’t mean that older people require less sleep than when they were younger. Instead it might mean that an otherwise common sleeping pattern may change. For example less time may be given to a block period of sleeping but this could well be supplemented with short naps throughout the day. For some people, they will of course start to feel older as they age. However, in many cases the opposite feeling actually occurs! A PEW 2009 survey shows the gap between actual age and felt age is 10-19 years younger amongst the over 50’s. Therefore feeling old can largely be left to the under 50’s. Making positive lifestyle choices can come at any age. The view that someone is ‘too old to quit smoking’ simply isn’t true. In fact, stopping things like alcohol and smoking later in life can have a positive impact even if cognitive decline has already started. It doesn’t matter whether it is smoking, diet or exercise it’s never too late to change your habits. No, you can teach someone of the older generation something new and most of the time they will be grateful for it. 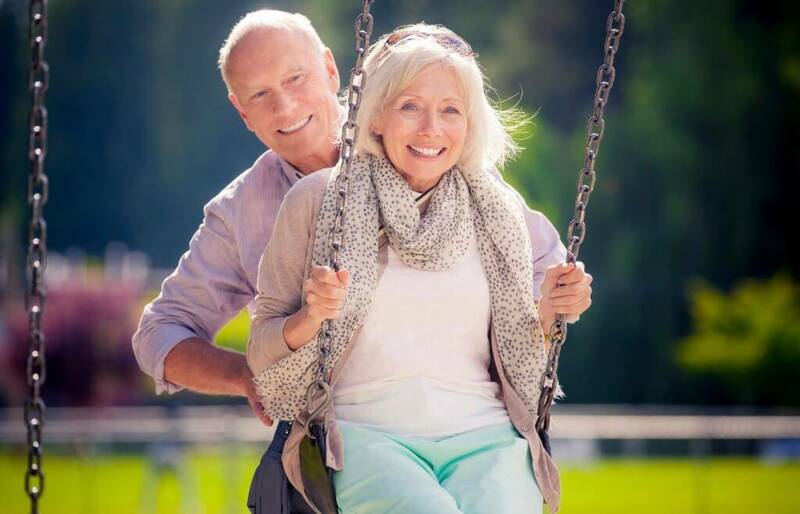 The days when an older persons brain was deemed to be stagnate has now gone and in scientific circles it is now widely accepted that you can learn at any time in life. Also, keeping the brain active is also hugely influential when it comes to learning new things. This stereotype of older people is actually quite damning and simply not true. There are many ways to vary changes in memory and growing older is not one of them. The truth is that it is an amalgamation of things that can affect memory at any age. These can be: worry, stress, depression or illness. More and more businesses will now have to look to the older generation with the starkly apparent ageing population. The smarter of these companies will realise that this is a huge opportunity for the simple fact that older workers are great! They are more likely to be loyal to a company and have less time off. The beautiful thing about ageing is that, in the most part, you’re able to do it in whichever way you want. Whether it is retiring abroad, continuing to work or simply taking up another hobby – there are loads of possibilities. However, to enjoy all of these things you will need to try and forget about the common stereotypes that people make about ageing; most of which are simply outdated beliefs.